Looking to up your Instagram game? 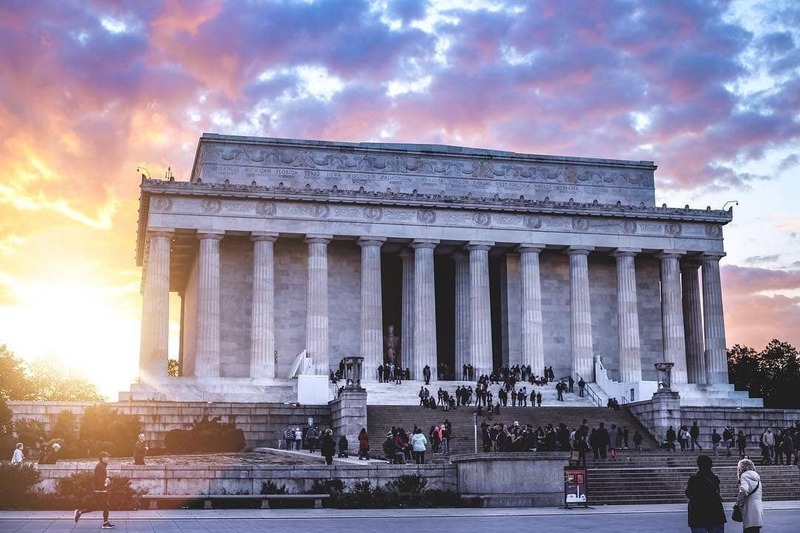 We've got the best places – some obvious spots and some hidden gems – where you can snap that picture-perfect photo in DC. 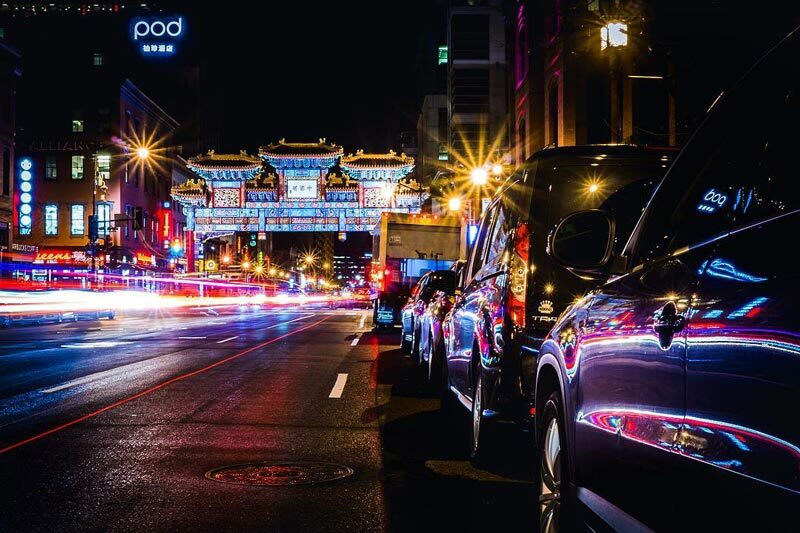 The District is brimming with scenic, one-of-a-kind #views, mouthwatering #eeeeeats and plenty of unique spots to capture the best #photooftheday. Lucky for you, we've picked more than 20 of the coolest places to take pictures in Washington, DC. 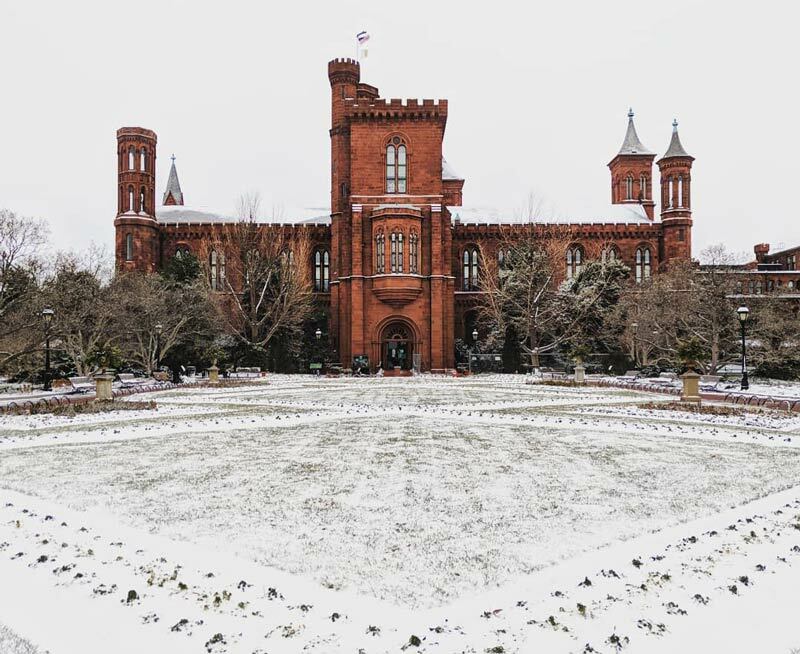 And make sure to follow @visitwashingtondc on Instagram for a daily dose of amazing DC photos, and tag your Instagram adventures with #MyDCcool for a chance to be featured. Each memorial on the National Mall is beautiful and moving in its own right – it’s impossible to take a bad picture on America’s front yard. Visit the Vietnam Veterans Memorial at sunrise for a tranquil experience with the early morning light reflecting off of The Wall or the Lincoln Memorial at sunset for an equally stunning view. 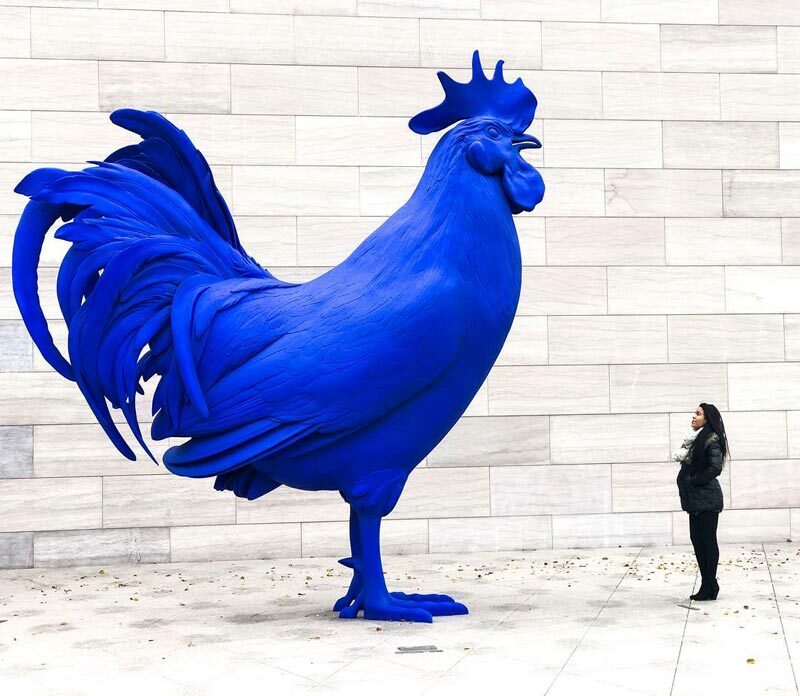 This vivid cobalt rooster from Katharina Fritsch electrifies the rooftop at the National Gallery of Art's East Building. It’s pretty difficult to take a bad photo of the 15-foot fowl. Face east and you can capture the U.S. Capitol dome above the tree line; turn west and you’ve got a great view down Pennsylvania Avenue. 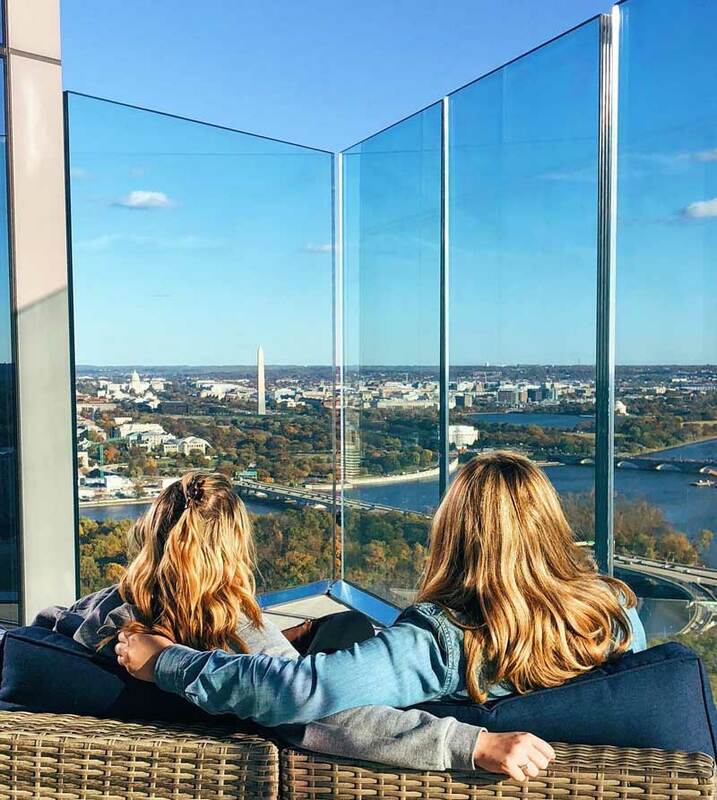 This observation deck just across the Potomac River in Arlington, Va. lets you indulge in an unrivaled (and totally Instagrammable) 360-degree view of the DC skyline. And while you’re there, be sure to pair your views with a local beer and a bite from the cafe. We recommend you purchase tickets in advance. The dramatic bridge on the Capitol Riverfront makes for a stunning shot, especially at sunrise and sunset. Play around with depth perception for an optical illusion, or grab a scoop from Ice Cream Jubilee for that perfect #foodintheair pic. 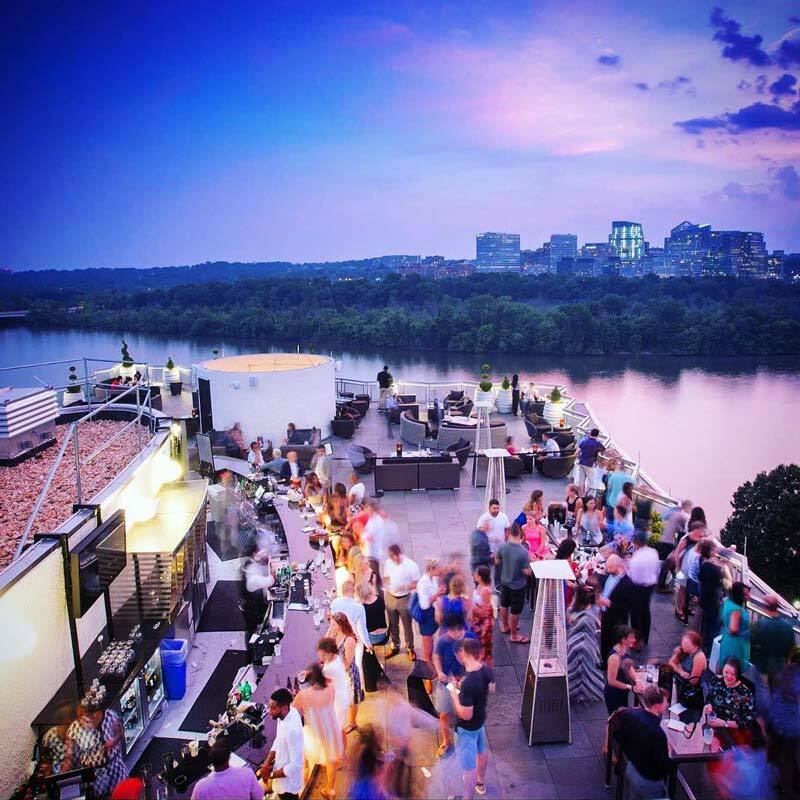 Top of the Gate – the rooftop restaurant and bar at The Watergate Hotel – provides stunning 360-degree riverfront views of the District and Virginia. Grab a bubbly cocktail and get your money shot overlooking the city skyline. Tucked amongst rehabbed carriage-houses and Shaw's award-winning restaurants, Blagden Alley was once home to working-class immigrants and African Americans following the Civil War and creators in DC’s underground art scene. Now you’ll find a series of murals, including an oversized tribute to musicians Sun Ra and Erykah Badu. 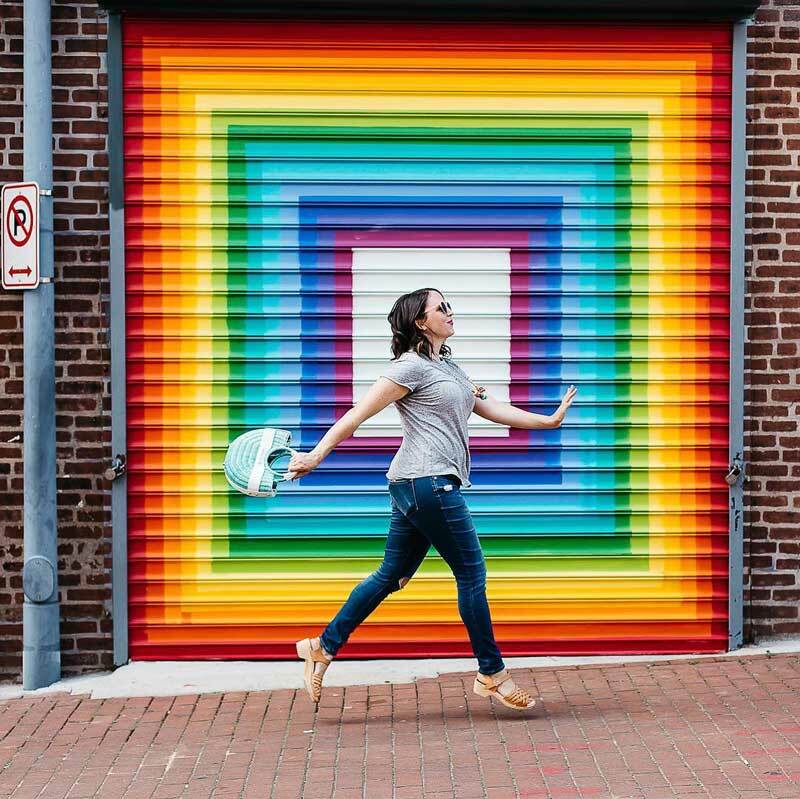 Bump up your saturation and strike a pose in front of any of the hundreds of bright, captivating street-art masterpieces. Many alleys and offshoots lead to beautiful works of art. 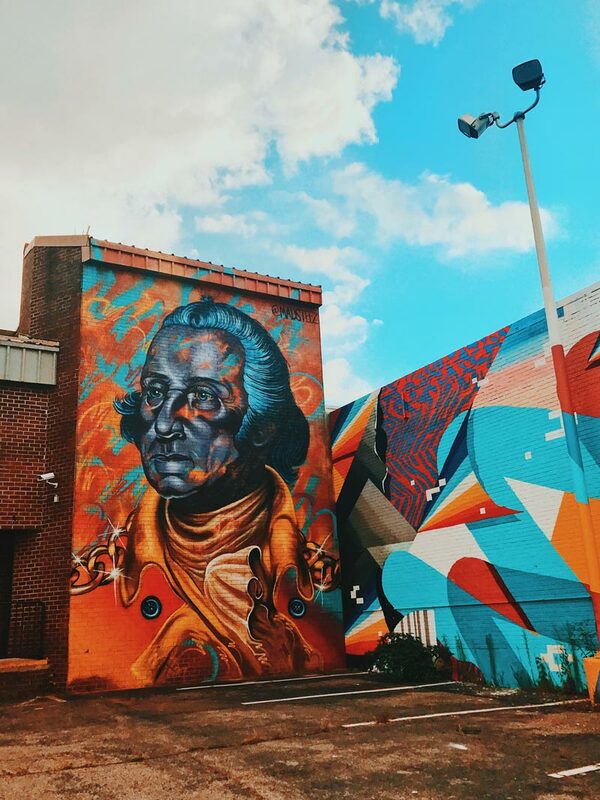 This mural can be found in the city’s NoMa neighborhood, where Pow! Wow! DC, an international art movement that celebrates culture, music and art worldwide, made a stop and left its mark. Located in Shaw, Espita Mezcaleria serves Southern Mexican cuisine and – yup, you guessed it – mezcal. 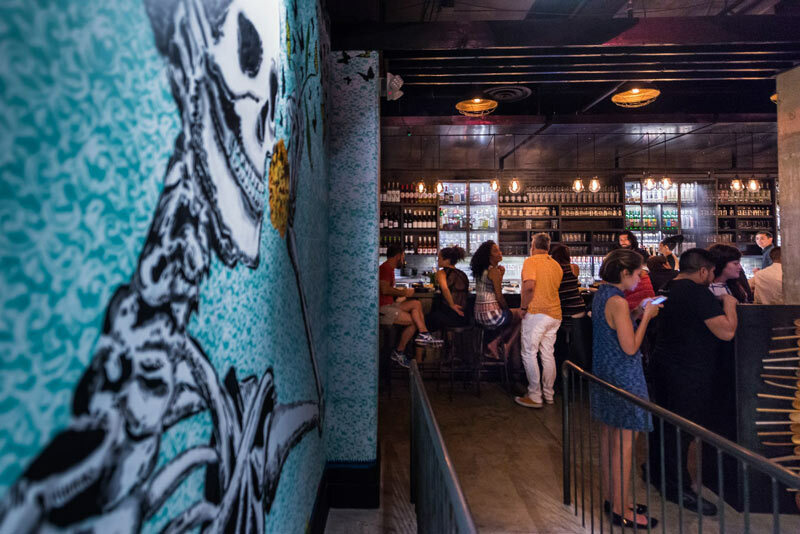 The restaurant’s vibrant flavors jump off the plate and on to the walls – colorful murals are everywhere at the 9th Street eatery, courtesy of Oaxacan street artist Yescka. There’s more to see than just books at the world’s largest library. 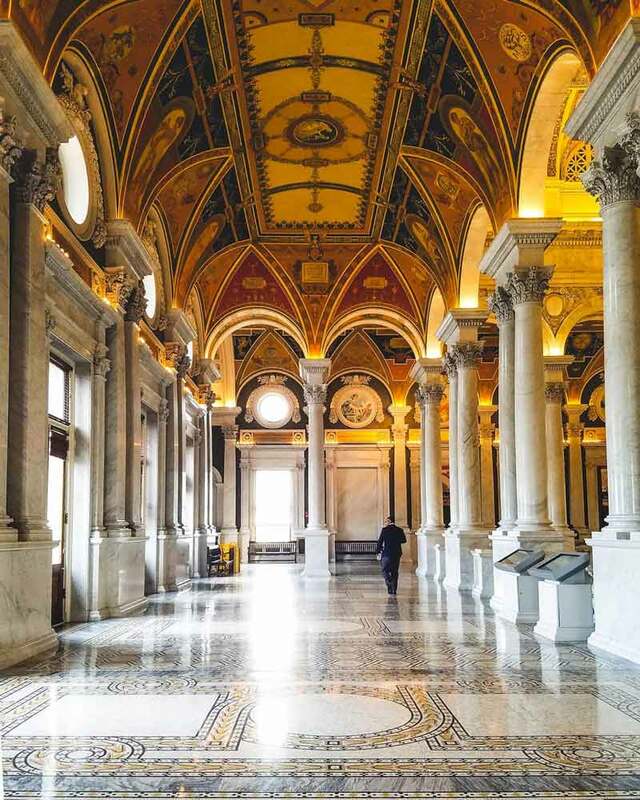 The Library of Congress’ Jefferson Building, built between 1890 and 1897, is home to more than 50 commissioned paintings, murals and sculptures created by American artists. DC may be known for its monuments and memorials, but the city's waterfronts also offer plenty to see and photograph. 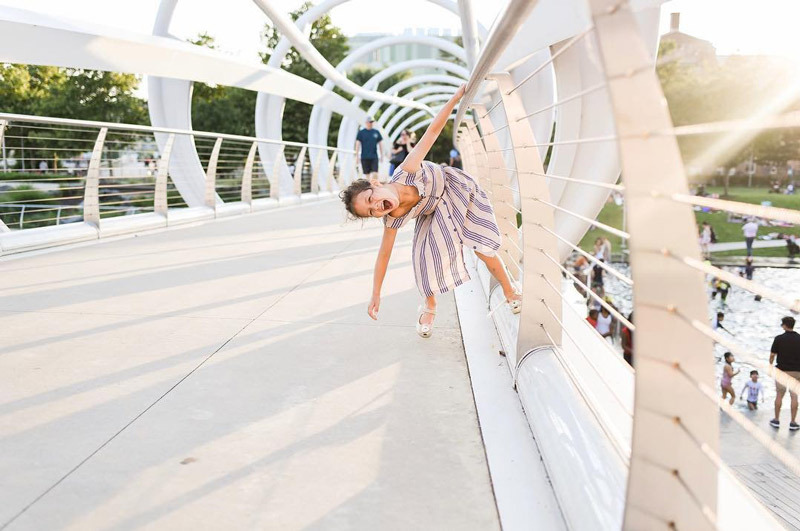 The District’s two rivers, the Potomac and the Anacostia, shine brightly once the warm weather of summer settles on the nation's capital, setting the scene for the perfect active 'gram. There’s plenty to eat, drink, smell, buy and photograph at NoMa’s Union Market. 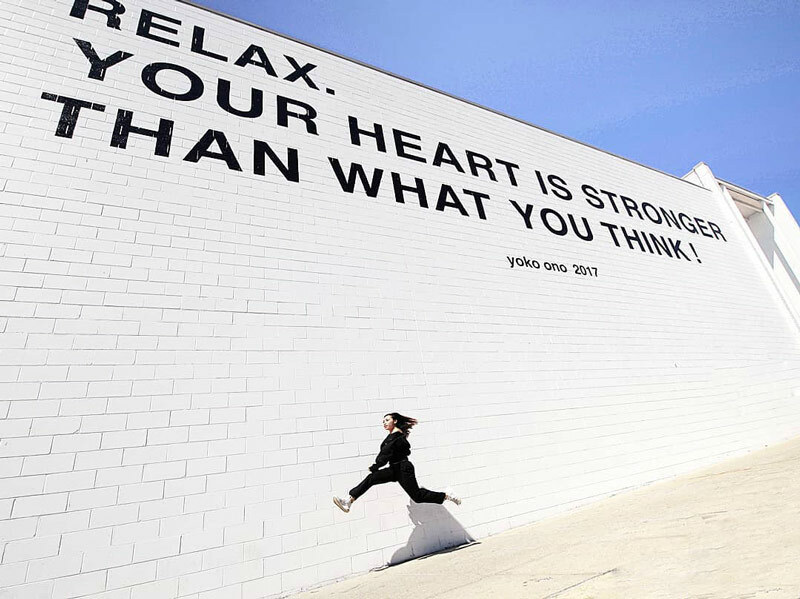 But if we had to choose one spot, we’d suggest grabbing the one – or ones – you’re with, and snapping a pic in front of Yoko Ono's textual artworks or the iconic heart-filled mural. The colorful wall was painted by LA-based graffiti artist Mr. Brainwash in 2015 in honor of International Women’s Day. A must for any celebrity visiting the city, Ben’s Chili Bowl has been a DC staple since it opened on U Street in 1958. 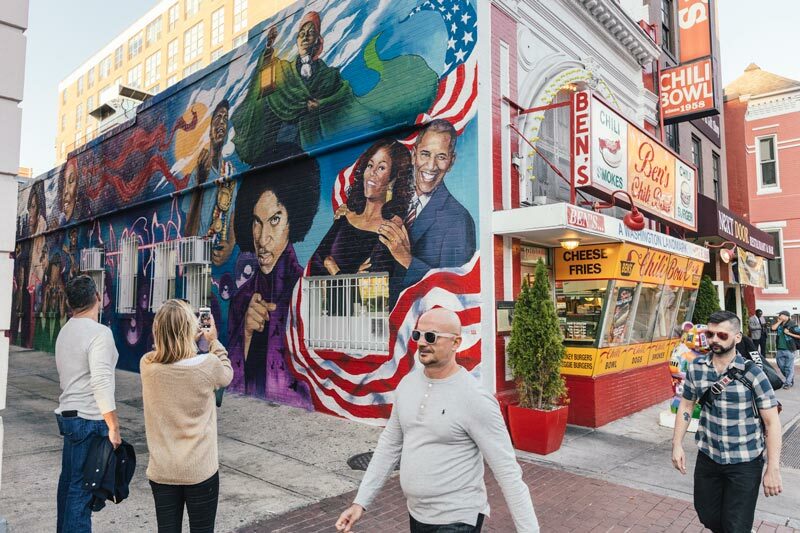 The half-smoke toting restaurant’s storefront is plenty Instagrammable on its own, but the famous Ben’s Chili Bowl mural – featuring distinguished African American trailblazers and celebrities – is iconic. The colorful wall honors the likes of Barack and Michelle Obama, Dave Chappelle, Prince and Harriet Tubman. The 60-foot-tall, intricate archway is a classic Instagram spot and overlooks one of the busiest intersections in Chinatown at 7th and H Street NW. The Friendship Archway, which was constructed in 1982, features 7,000 tiles and 272 painted dragons. 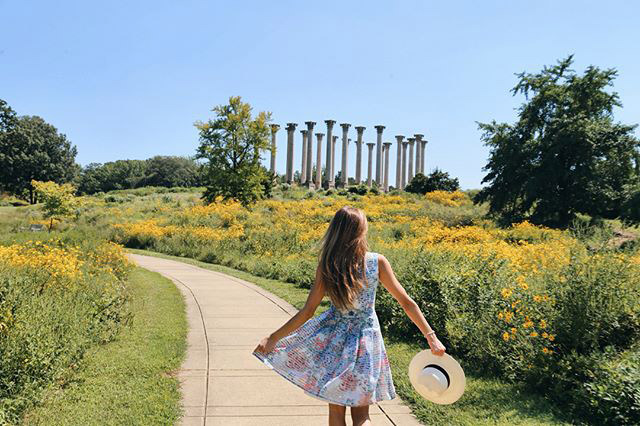 Off the beaten path in Northeast DC you’ll find the U.S. National Arboretum, a 446-acre verdant wonderland full of flora to discover. The go-to photo-op: a shot of the National Capitol Columns, a permanent installation featuring 22 Corinthian columns that originally supported the east portico of the U.S. Capitol when it was constructed in 1828. 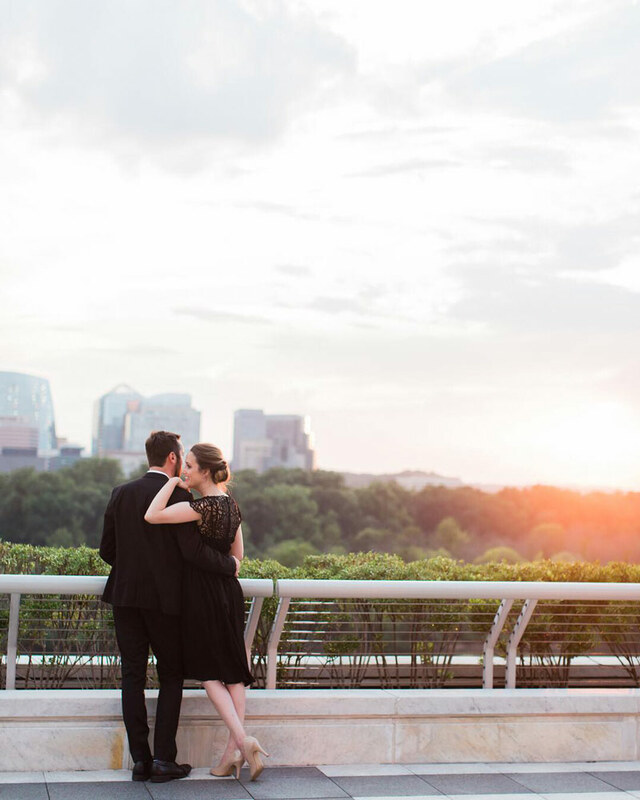 With seven theaters plus a rooftop terrace spoiled with gorgeous views of the Georgetown waterfront, there are plenty of iconic shots to choose from at the Kennedy Center. The Opera House’s luxe red decor and massive, 50-foot-wide, starburst-like crystal chandelier will certainly get some likes. 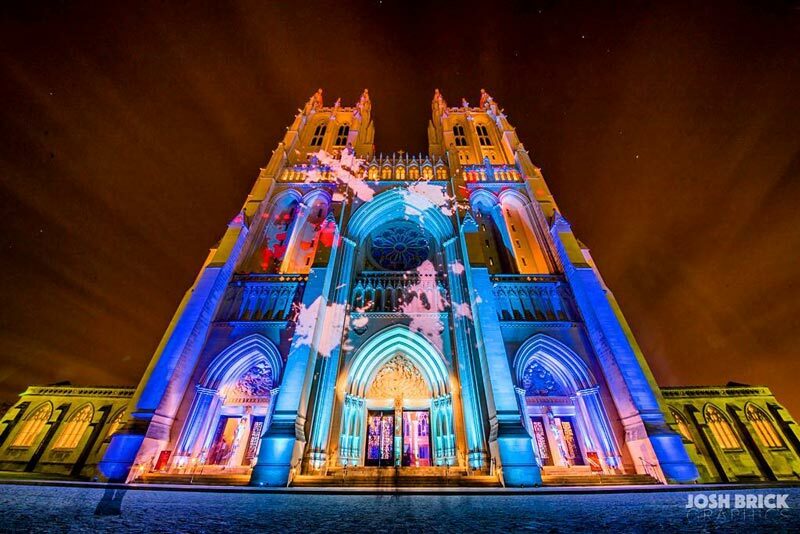 Located in Upper Northwest, the Washington National Cathedral does not disappoint. Visitors will find 231 stained-glass windows and more than 100 gargoyles and grotesques to inspire your next post. #Nofilter needed. 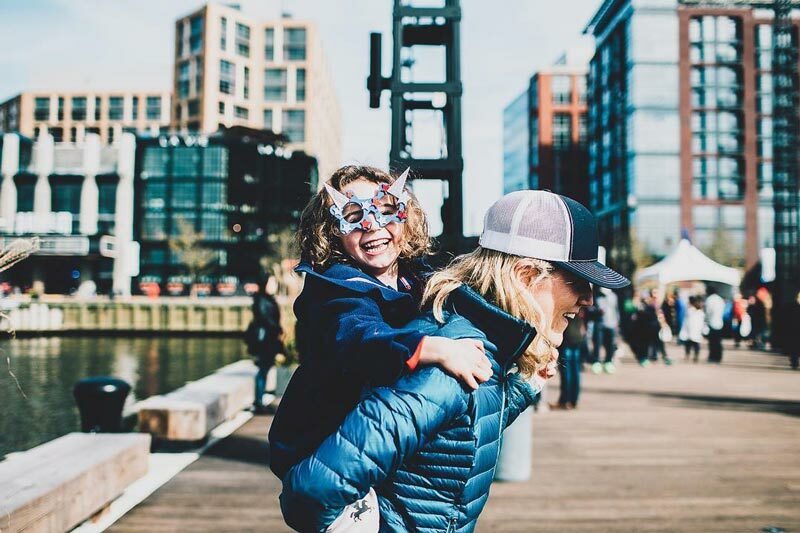 Home to the nation’s longest continually operating open-air fish market, The Wharf has transformed into one of DC’s most exciting waterfront destination. 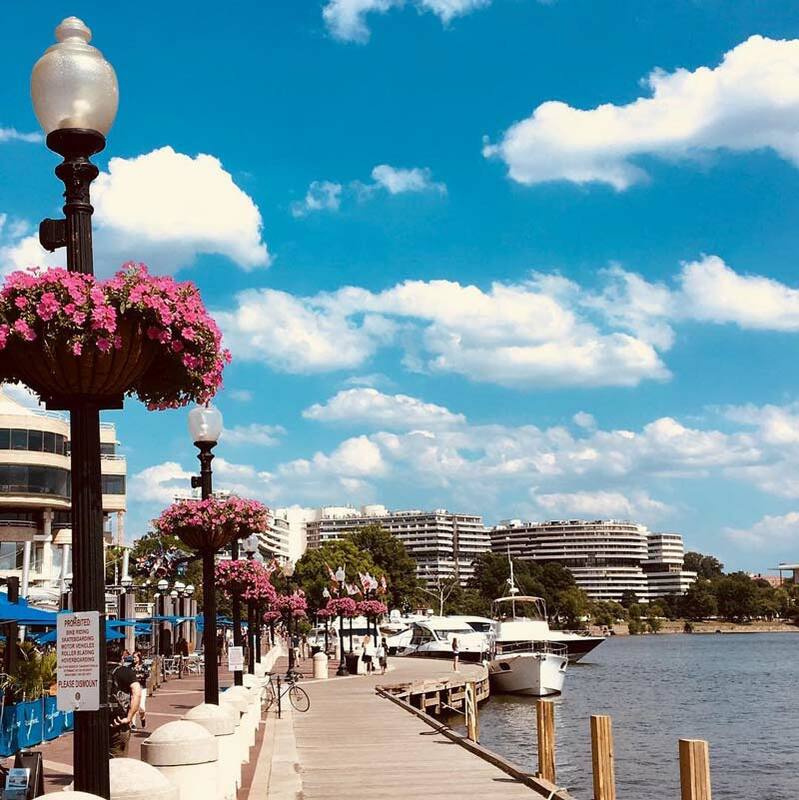 Make your way down by water, shuttle bus or bike and enjoy public piers and parks, locally grown dining concepts and a show at some of the city’s newest music venues. 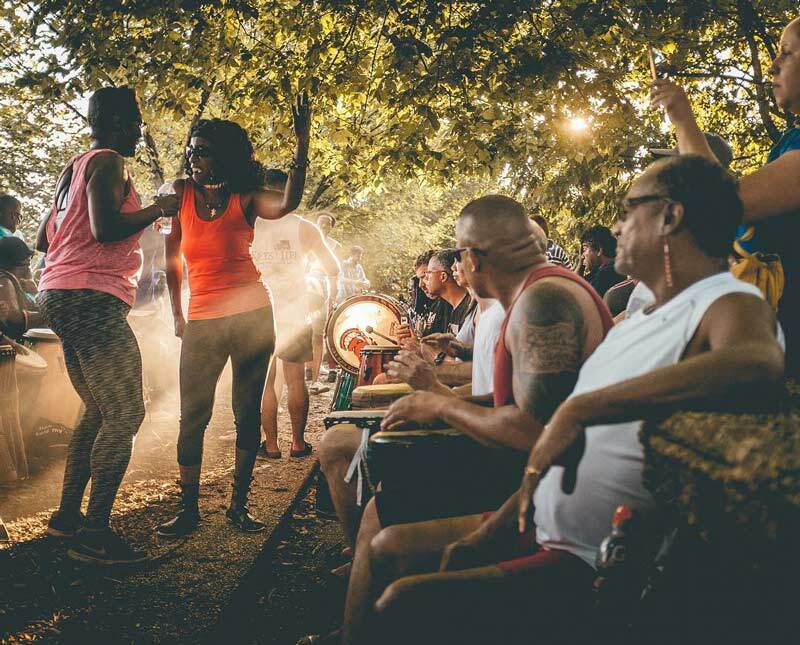 Whether it’s North America’s longest cascading fountain or the vibrant drum circle that gathers every Sunday, there’s plenty to capture at Meridian Hill Park in Columbia Heights. The terrazzo walls will transport you (and your followers) from the nation’s capital to a European city with just one photograph! 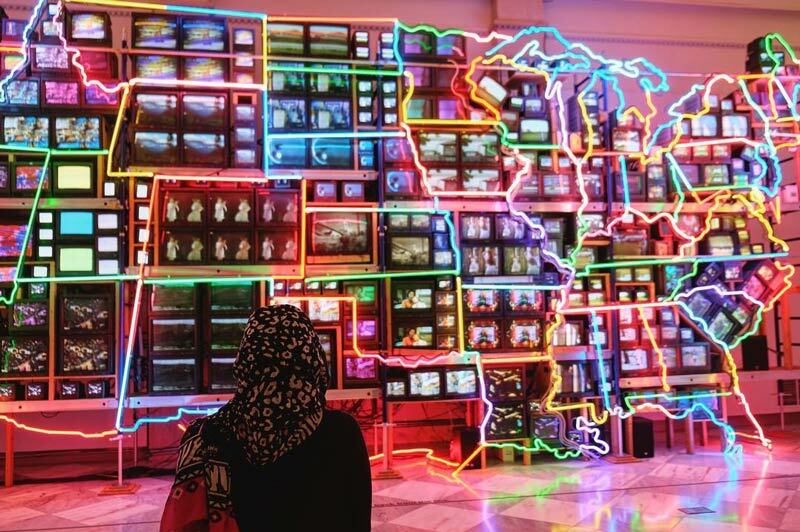 The color really pops at the Electronic Superhighway, a hybrid art installation-U.S. map with its own closed-circuit television feed at the Smithsonian American Art Museum. A popular pic is to stand staring up pensively into the neon abyss. It’s no secret why DNV Rooftop at the Kimpton Donovan Hotel is one of our rooftops you have to experience in Washington, DC. 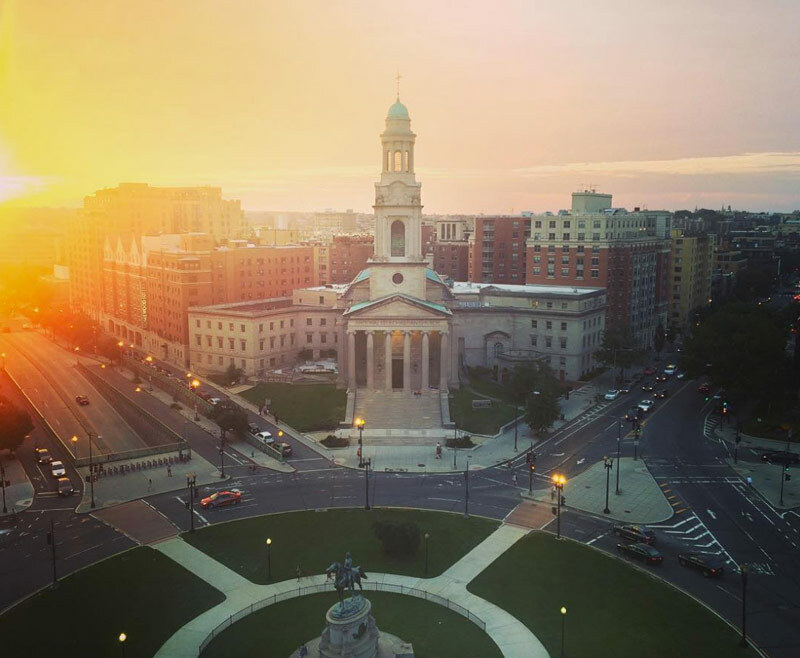 This hip and happening spot provides some of the best views of Thomas Circle and beyond. 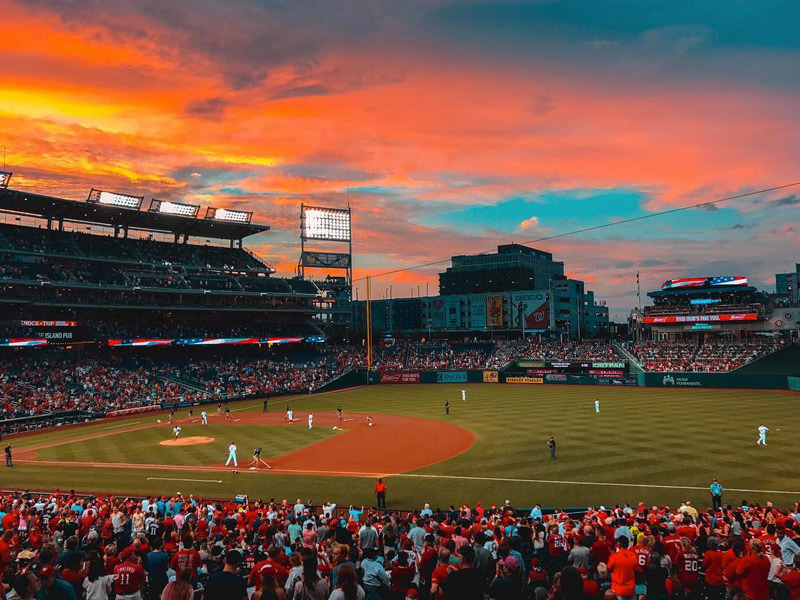 You can score an epic ‘gram from any part of Nationals Park, home to MLB’s Washington Nationals. Let the followers know you have great seats, or if you’re in right field, snap a selfie and tell the squad you’re enjoying a refreshing summery drink with former National League MVP Bryce Harper in the background. 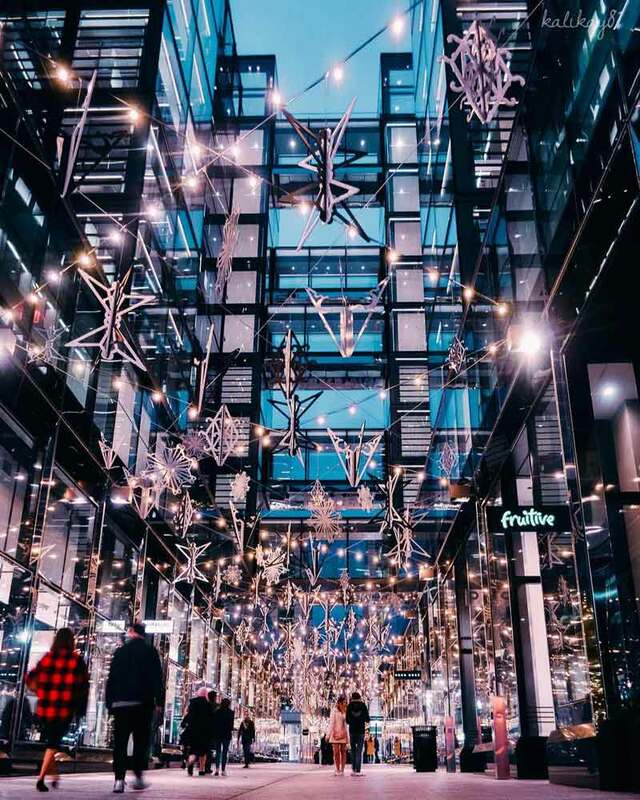 As the seasons change, so does the totally Instagrammable display at CityCenterDC. From snowflakes to Chinese lanterns and beach balls, the ever-changing installation is one of the perfect place to get picture happy. For foodie ‘grammers, enjoy a global cuisine tour without leaving the neighborhood at hotspots Centrolina, Fig & Olive, DBGB Kitchen & Bar, Momofuku CCDC or Del Frisco’s Double Eagle Steakhouse. Establish yourself as king or queen of IG with a regal shot of this Victorian masterpiece. With dark woodwork reminiscent of a bygone era, your photos are sure to reign supreme. 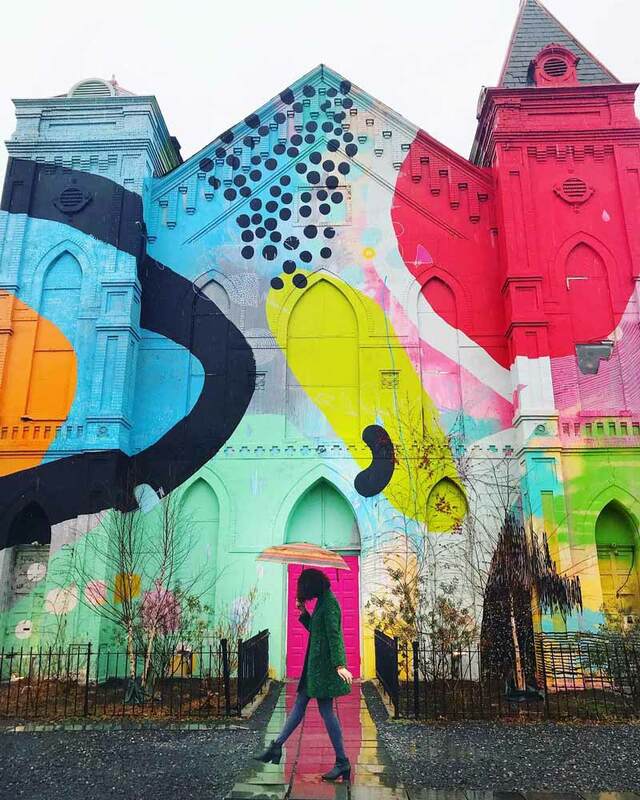 This 19th century church and current home to the Blind Whino, a nonprofit arts club, in the Southwest Waterfront neighborhood is sure to catch your attention. It’s also a popular events space and the inside is just as eclectic, a.k.a. there is plenty to photograph. 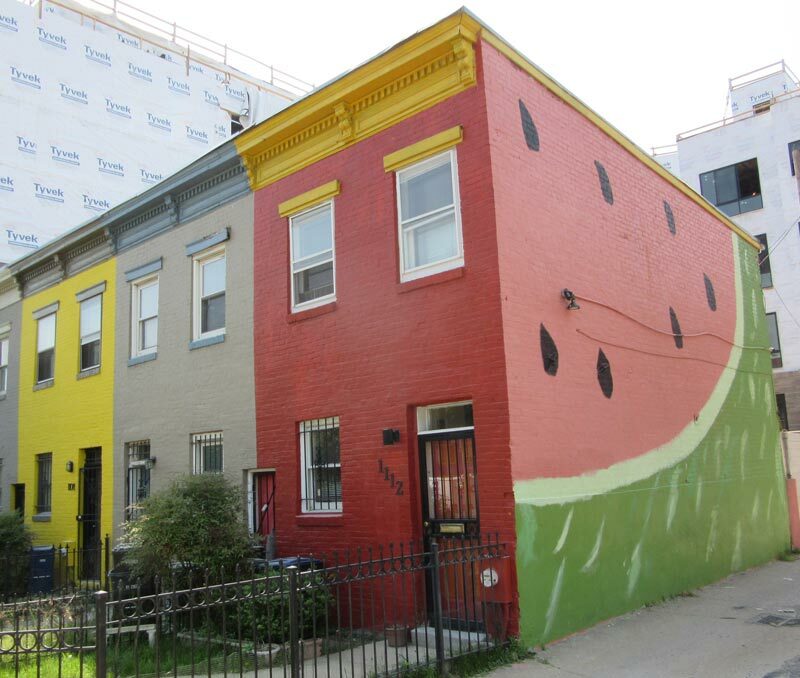 This Logan Circle residential landmark at 1112 Q Street NW is sure to make you double take the first time you see it. And it’s just a few blocks from happening 14th Street, another great spot to scope out the next IG.